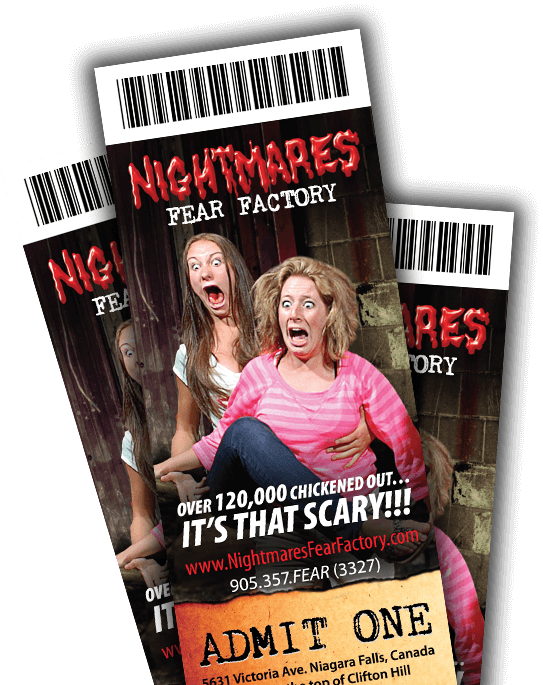 Nightmares Fear Factory offers significant discounts for groups of 15 thrill-seekers or more. For rates and more info please fill out the form above. We will aim to respond within 1-48 hours. Guaranteed Spine Tingling Excitement for School Trips, Corporate Groups and Athletic Tournaments. Our 2019 Group Rates are available for download in PDF format.